To ensure their children remain competitive in the increasingly borderless world, more and more Malaysian parents are opting for international and private education for their children. However, these schools do not come for cheap. The market has been growing at a rate of 19% per annum for the past five years, and it is showing no signs of stagnation. 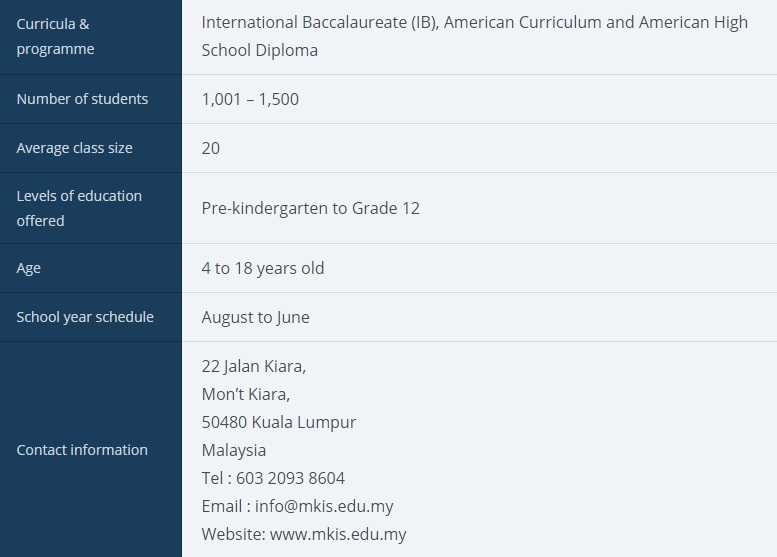 Located in Mont Kiara, Kuala Lumpur, Mont’Kiara International School (M’KIS) offers North American curriculum from Pre-Kindergarten through Year 12. Balancing academics and life skills, M’KIS emphasizes on the Expected School Wide Learning Results concept. There is a focus on vital academic skills such as communication, critical thinking, technological literacy, numerical literacy and independent learning. 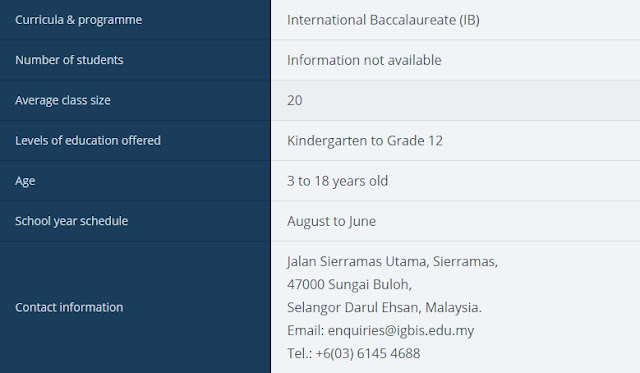 The English Language Learner (ELL) Assessment Fee is RM1,000.00. The ELL Assessment Fee applies to new students whose linguistic backgrounds are judged by the Admissions Department as being in need of further objective validation by M’KIS academic team. 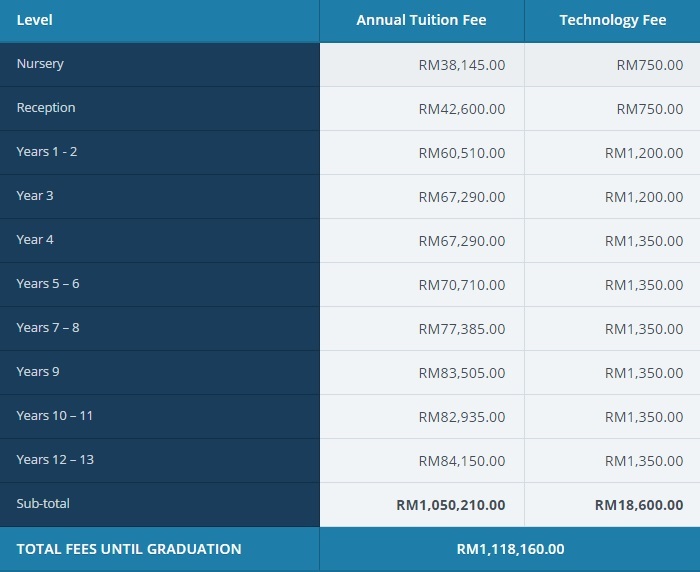 Academic Assessment Fees: Students who are returning will be assessed and the assessment fee is RM4,000.00 per year. This assessment fee is not refundable. School supplies from Kindergarten Preparatory to Grade 5 will be provided. 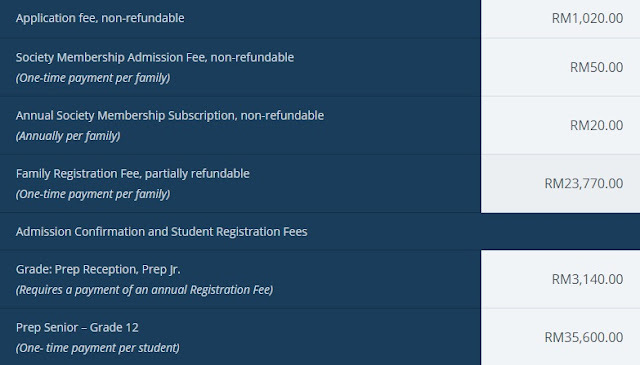 Surcharge for Late Payment: A surcharge of five percent (5%) on unpaid tuition fees is applied for payments received fourteen (14) days after semester has commenced. Siblings Discount: Subsequent siblings of the first enrolled child, will only pay half of the initial registration fee of the first child. For families enrolling more than two children, the second child will receive a five percent (5%) reduction in the tuition fee. 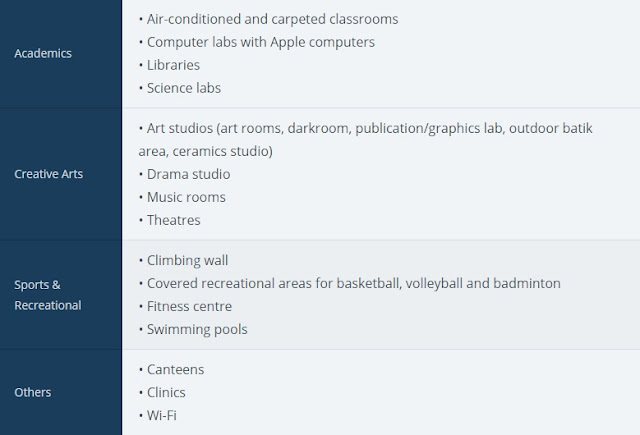 The third child onwards will receive a ten percent (10%) reduction in the tuition fee. International School of Kuala Lumpur (ISKL) has two campuses located in Ampang and Melawati. The first international school that offers American-based curriculum and programmed, it was established in 1965. 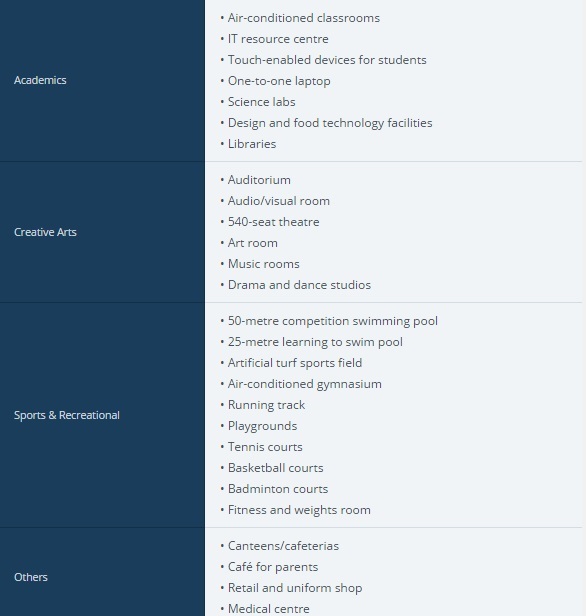 Well-known and reputable internationally, the school programme covers Elementary School (Pre-reception through Grade 5), Middle School (Grade 6 through Grade 8 ) and High School (Grade 9 through Grade 12). 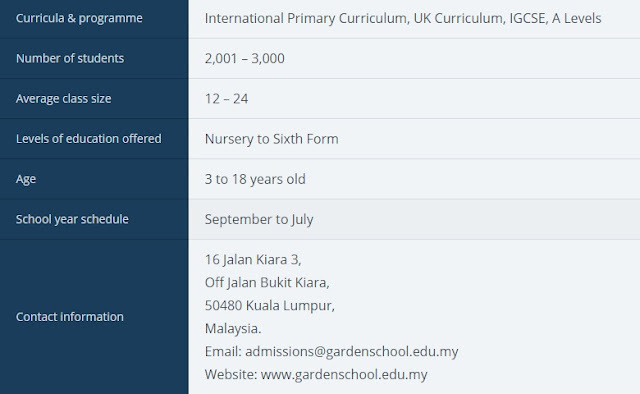 Garden International School (GIS), located in the suburb of Mont Kiara was established in 1951. 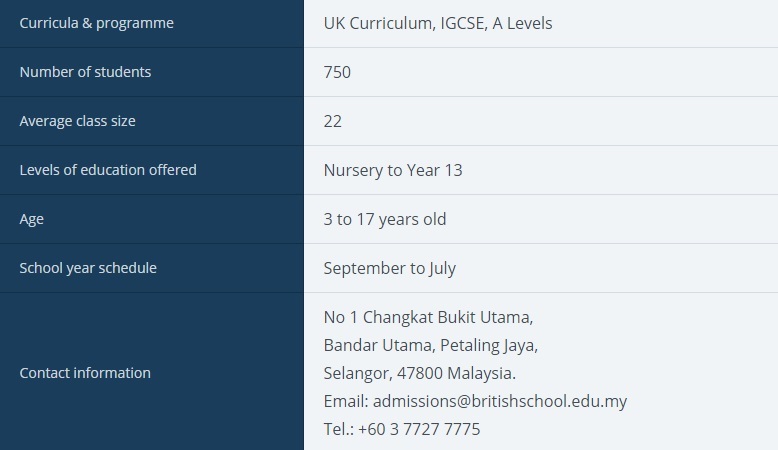 Like BSKL, GIS adopts the British education system for expatriate and local community in Kuala Lumpur. 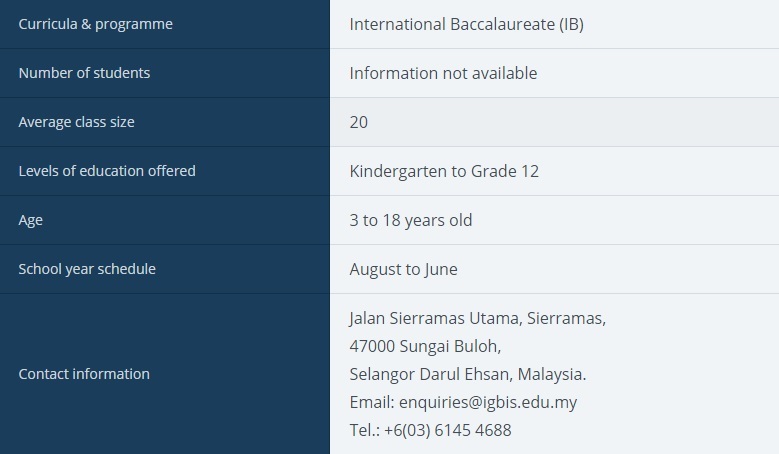 The school has two campuses, one located in Kuala Lumpur and the other in Kuantan. 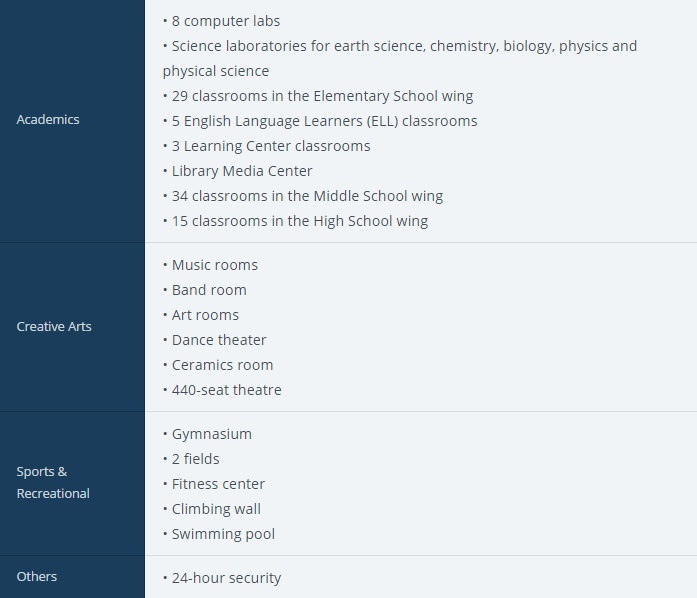 In total, there are more than 2,100 students enrolled, representing over 60 nationalities. 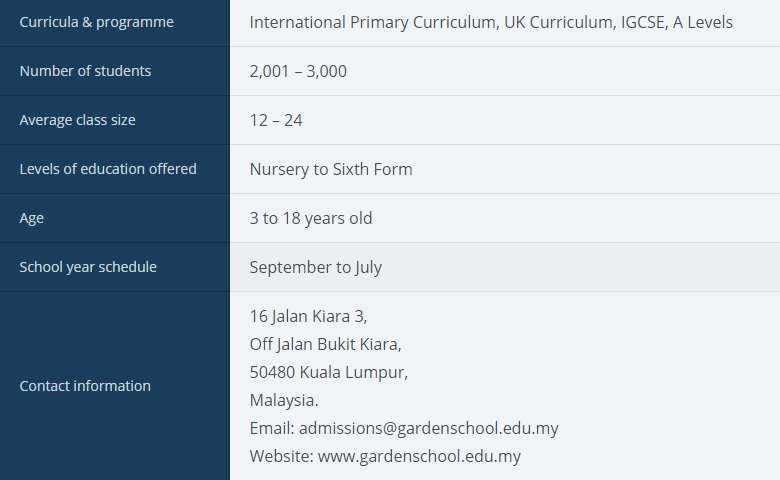 Known as the largest private, co-educational, international school in Malaysia, the institution is accredited by the Council of International Schools (CIS). 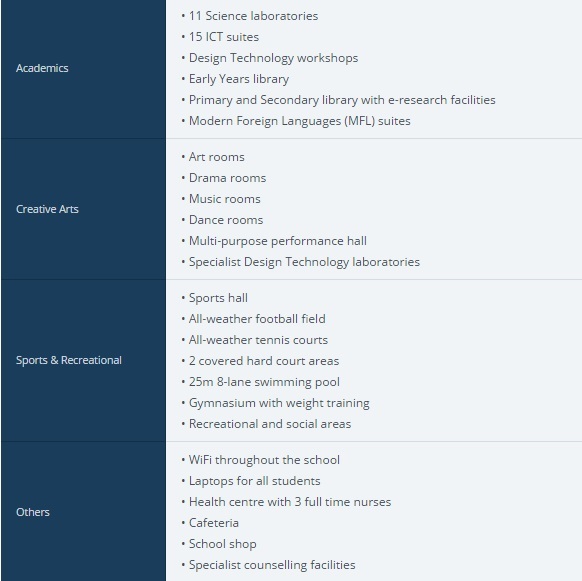 Education at GIS focuses in developing adaptable lifelong learner, active citizens, effective contributors, resilient individuals, independent enquirers and creative thinkers. Deposit is equivalent to 1 semester of the school fee. The amount is to be topped up as school fees increase according to grade level. Security deposit is refundable provided the School receives at least one full academic semester notice of withdrawal of the child. Re-entry fee: RM2,000 for students who left and are re-admitted within a period of 1 Academic Year. 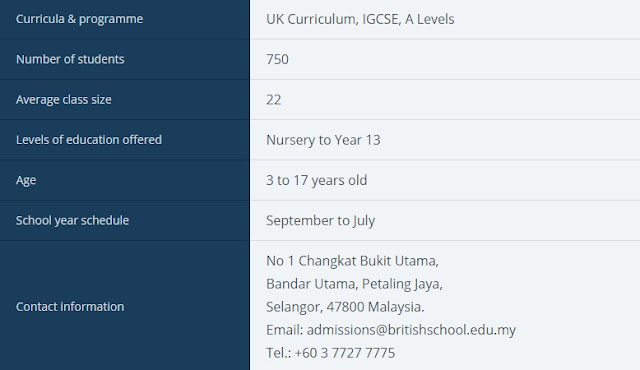 The British International School of Kuala Lumpur adopts the National Curriculum of England, also known as UK Curriculum. For parents, especially expatriates from the UK or other countries who adopt the same education system, this will be the good school to enroll your child. 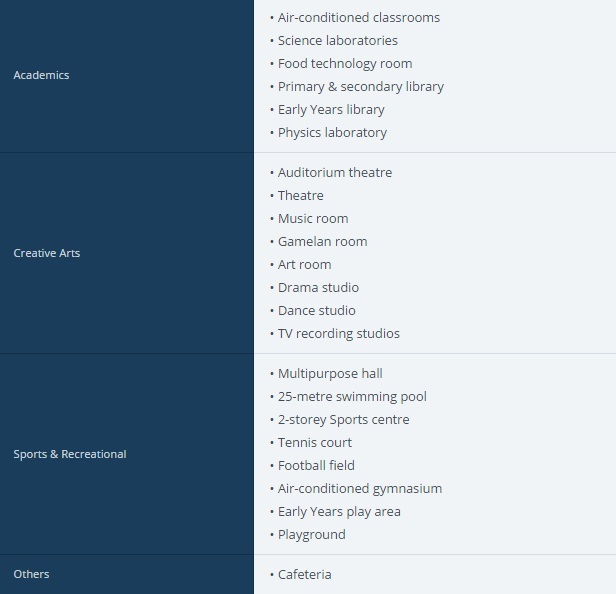 In the British education system, year groups are divided into Early Years (Nursery and Reception) for age three to five, Primary (Years 1 to 6) for age five to 11, and Secondary (Years 7 to 13) for age 11 to 18. However, this school cost significantly more than other international schools in the country. 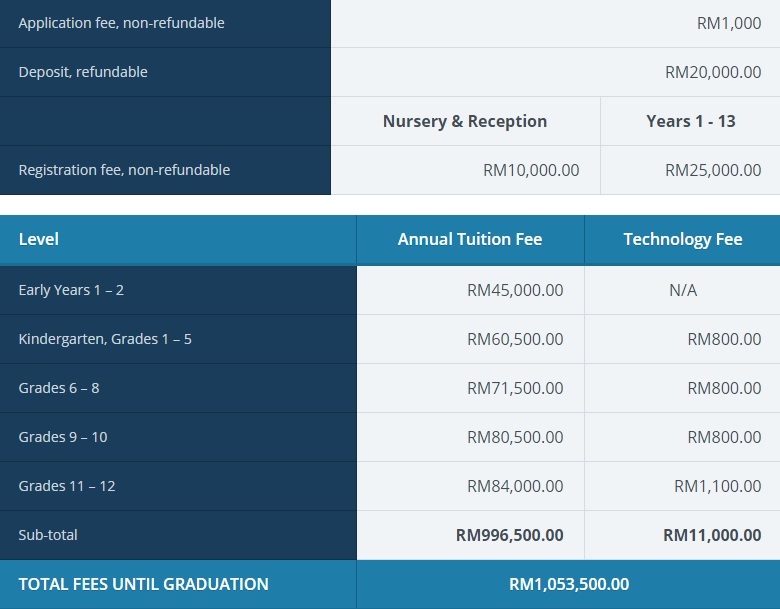 Studying at the BSKL from the young age of three to Year 13, will easily cost you more than RM1 million. 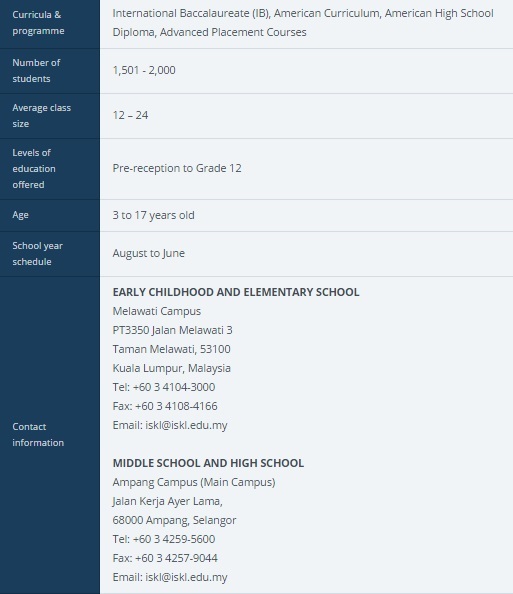 School Lunches: RM3,040 RM (Termly payment available). 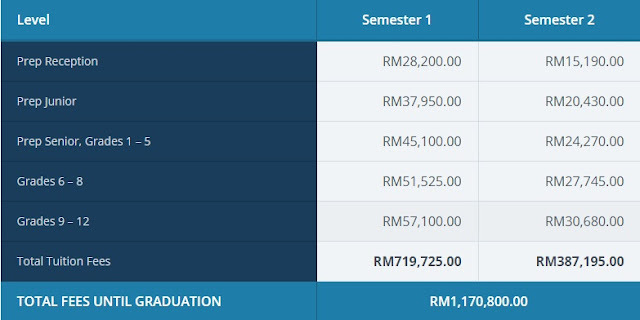 Bus Service: RM5,020 per year (Termly payment available). 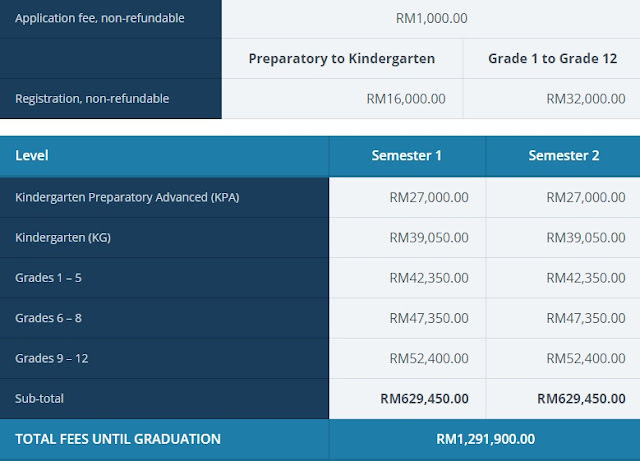 Early Notice Payback: The school will provide an Early Notice Payback of RM3,850 to every family that provides a THREE MONTH written notice before the child is to be withdrawn from the school, assuming that all outstanding fees are paid and all text/library books are returned. Any Deposit paid by the student, will only be refunded when a minimum of three months’ notice in writing from the parent/guardian is given to the Admissions Office informing the student’s intended withdrawal from IGBIS. 5% discount is applicable for advance payment of the full amount of the total annual Tuition Fee. This discount is only applicable to students enrolled for the entire academic year. 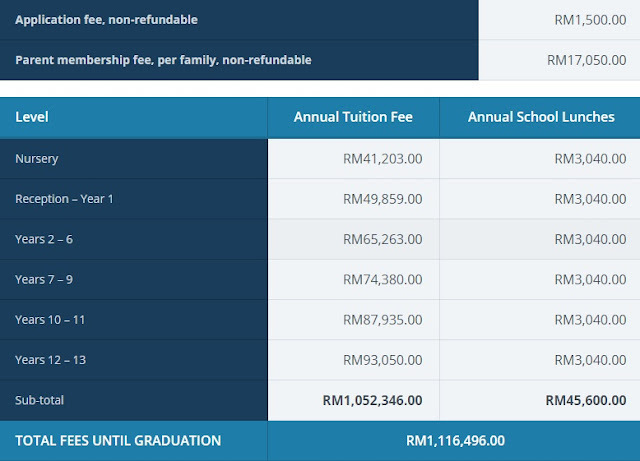 A Family (Sibling) Discount on the Tuition Fee is offered – 5% for 2nd sibling, and 10% for 3rd and subsequent siblings. For 2015-16 enrolment, second child will receive additional 25% discount and 3rd and subsequent siblings will receive 50% discount.